There are many children’s charitable organizations in the world. Some of them focus on hunger, others focus on education, and while we uphold and value any passion to help those in need, our hearts are to see the transforming of faces all around the world. Being born with a cleft lip and palate is so much more than a simple physical deformity; cleft problems can lead to difficulties eating, hearing infections and hearing loss, speech delays, and dental problems. Though not all individuals who deal with cleft will suffer all of these symptoms, it’s important to realize that we’re dealing with so much more than a physical deformity. It’s for this reason that cleft care and cleft lip and palate awareness is so vital. Through the generous donations that we receive, we’re able to continue partnering with other organizations, clinics, hospitals, and resource centers in faraway places who can help us with the hands-on approach to our work. There are so many people and components that go into doing what we do, and though it can be tough with so many moving pieces, we’re so excited to be helping people who normally wouldn’t even be able to hope for a transformation. Every contribution that we receive represents a person — a child born with cleft lip who can now dream of living a normal life. That means something to us. If it also means something to you, consider donating to our smile charity. With your help, we can transform lives while we transform faces! Here at Transforming Faces, a Canadian non-profit, we’re used to certain terms and we use certain verbiage regularly, sometimes forgetting that some people don’t follow. Since bringing cleft awareness to the masses is something that is vital to our cause, let’s spend a few minutes discussing cleft lip and palate. Cleft lip and cleft palate are known as some of the most common facial deformities and birth defects in children. These facial differences are a congenital condition that arises when the tissues and bones inside the mouth fail to properly fuse, resulting in a gap in the upper lip and/or palate. In many developed countries, cleft lip and palate care can happen in the hospital as soon as a baby is born. In other countries, cleft care is difficult or almost impossible for the average family to find, let alone afford. As we mentioned above, living with cleft can be accompanied by a whole host of challenges that a child must strive to overcome. In addition to living with a facial deformity, many children born with cleft are left with speech problems, dental issues, difficulties eating, and so much more. This is precisely the reason that Transforming Faces is passionate about providing extended care to children born with cleft. Transforming Faces is a cleft lip and palate organization that works with global partners in eight different countries, and we are excited to continue extending our reach with the help of everyone who contributes to our cause. One of the countries that we’re excited to be making a difference in is Costa Rica. Officially known as the Republic of Costa Rica, this small, Central American country is nestled nicely between Nicaragua to the north, and Panama to the south. Having so much coastline on its east and west sides, Costa Rica is known as one of the most beautiful locations worldwide, and though only 4.9 million people call this paradise home, it brings in millions of tourists and visitors each year. Since last year, we’ve had the privilege of partnering with Asociación LPH, which is a San Jose based children’s hospital. With their help, we’ve been able to expand our cleft care to this beautiful country. Our goals in Costa Rica have been to provide newborns with immediate cleft care so that their treatment can begin on time. For someone who has been born with cleft, it’s vital that they start their care at the earliest age possible for the best chance of healing and developing well. 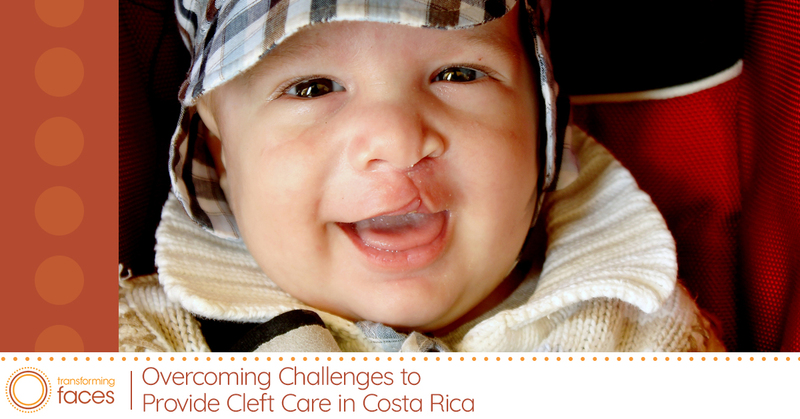 However, since infant cleft care isn’t always possible for some families in certain places, we also strive to provide teaching and open communication to Costa Rican children and adults with cleft. 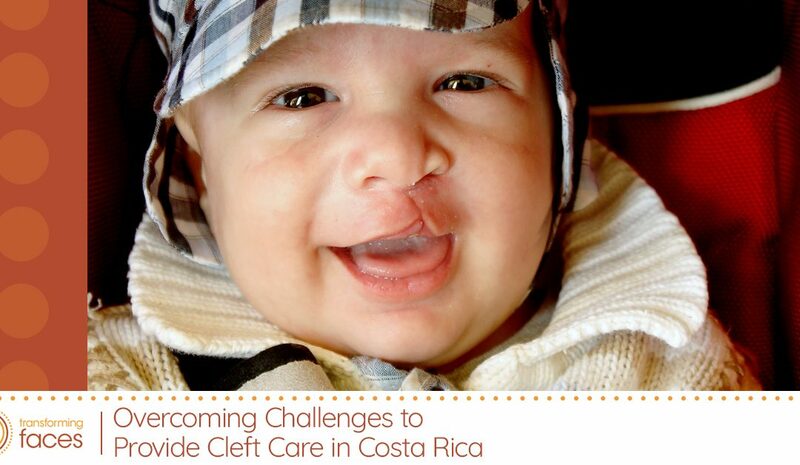 While we’re excited about the success and positive outcomes that we’re constantly hearing about, we know that there’s still so much more work to be done for cleft care in Costa Rica. Currently, we’re endeavoring to overcome challenges by keeping the equipment at the children’s hospital updated and keeping the staff and cleft team trained on the most current, up-to-date information so that they can provide the best cleft care possible. Whether it’s for the children of Costa Rica, or those in Thailand, Transforming Faces is proud to be on board with partnerships that strive to increase cleft lip and palate awareness, improve cleft care, and provide life-long treatment for those born with this devastating condition. We know that what we do around the world is so much bigger than us. We rely on our global partnerships with multiple organizations who can act in so much more of a hands-on way, and we count on our donations, 100% of which goes toward this valuable work that is being done around the world. Check out our stories to read about individual lives that have been changed! If you have a heart for children who deserve a better chance at a happy life, consider donating to our cleft lip and palate charity. We are a non-profit organization that is passionate about making a difference in this world, and we need your help. Consider being a monthly contributor to our Bright Start program, or bless a child with a one-time gift today! There are plenty of smile charities out there, but only one is Transforming Faces.